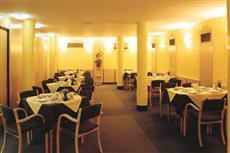 As its name suggests, the Hotel Central Zagreb offers Zagreb accommodation in the center of the city. The hotel is close by to the bus station, the railway station, and the Zagreb airport. It also puts guests within easy reach of many of the city's historical and cultural attractions, as well as its restaurants, entertainment venues, and other attractions. Guests of the Hotel Central Zagreb are within easy walking distance of Zagreb's major public transportation hubs, and they can also access the hotel by car. This hotel offers guests seventy-nine bedrooms, all of which are decorated in neutral tones and which feature comfortable furnishings. Each of the Hotel Central Zagreb's rooms features amenities like air conditioning, minibars, and satellite televisions. The rooms also come with telephones and Internet connections. The Hotel Central Zagreb offers guests plenty of modern amenities, including an on-site lounge and bar where guests can order a night cap or relax before going out for the evening. The hotel also offers a garden restaurant, which is open during the summer, and other contemporary amenities and services.